... a slice of India for me! I was excited to wake up to the fabulous news that Paso Robles was announced Wine Region of the year by Wine spectator, but I was more amazed by the pride and ownership I felt as LXV Wine. Paso Robles reminds me of India… maybe because of the relationship people have with the earth and with each other. There is an intimacy in the ecosystem in Paso Robles. And that expresses itself in the grapes, in the winemaking, and ultimately in the fine wines of this region. It is a business that defies logic in the mornings, when passion is invigorated by a good Rhone induced sleep. 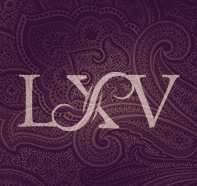 LXV Wine is proud to be all that !